A charming, easy to read exposition of the nativity for early readers. Quality hardcover and thick paper for little hands. As night falls, two owls awake from their day's sleep. They blink and stretch their wings. in the sky this night. Mr. Owl: Yes, dear, there is! Look! 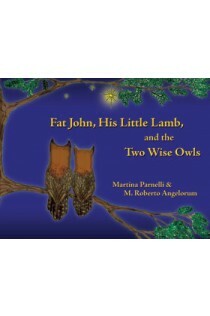 Follow the two owls as they fly to pay homage to their newborn King. Watch angels visit a shepherd and his little lambs. One angel points to the smallest lamb. What big job is in store for the little lamb? Read along with your child and find out!